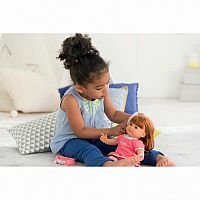 Ambre is the perfect large baby doll for caring for doll like real parents. 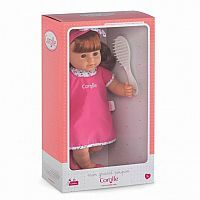 Children can dream up and try out their very first hair-styles using the doll's special hairbrush on her long, easy-to-brush hair! 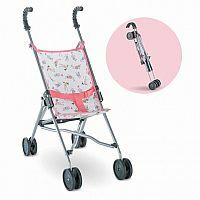 At 14”, it is just the right size for a child's little arms - perfect for cuddling, mothering and copying what grown-ups do when caring for their babies. Ambre is wearing a dress with a headband and ballet flats.